If you are an expert in your field, from entrepreneurship and digital marketing to blockchain or even the dating niche, selling online consulting services is one of best ways to monetize your time not just for money but also to build real connections with your customers. Selling consulting online, however, would require understanding and utilizing a set of copywriting and conversion principles to optimize your chances of a sale. 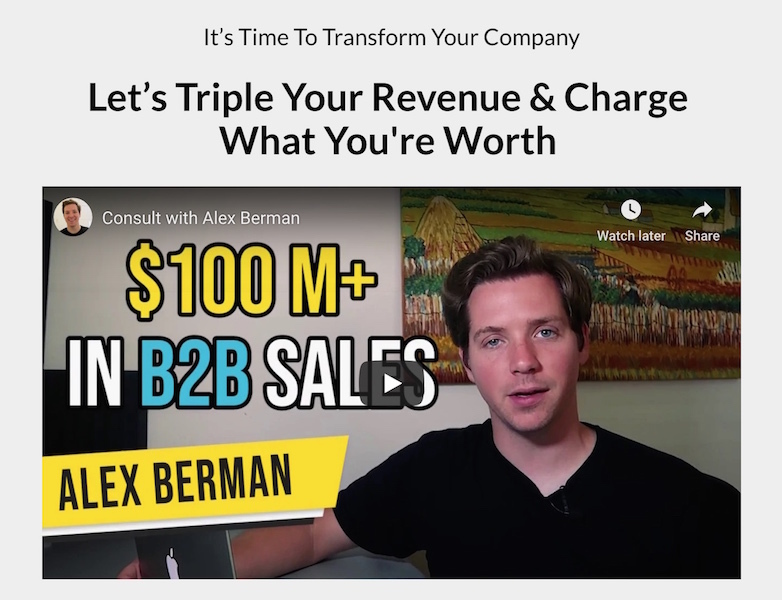 We used these 5 copywriting principles to craft the copy on the consulting landing page of Alex Berman, the founder of Experiment27, a marketing agency helping clients grow their B2B businesses exponentially. The result? A 600% increase in sales. And Alex charges up to US$715 an hour! You heard that right and to accomplish that, we had to tear down the old landing page copy and structure and started the journey to 6x sales from scratch. Every block had to be laid right, every sentence had to be crafted with intent and every sale had to be clinched without any buyer’s remorse. This is the power of purposeful content and we are going to break down for you step by step on how we achieved this. Get your messaging right and the sales will follow but get it wrong, and not only will you be wasting time and advertising dollars, but your audience might also develop a negative perception about you – after all you are selling yourself. Unlike a physical product or a service with a trial, selling consulting brings with it unique challenges, especially if you are selling it and delivering it online through Skype or other video conferencing platforms. You are not just selling your time to answer your customer’s queries, you are selling an experience that provides clear and actionable steps for them to achieve a tangible result. 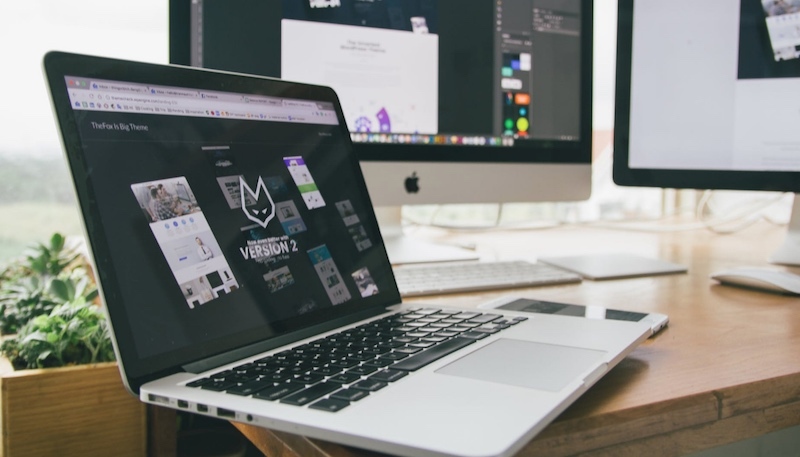 If you are looking to consistently pull in customers happy to pay you $200, $300 or even $500 an hour and beyond, you will need to pull out the big guns and eliminate their mental blocks as they read through your landing page. While Alex himself has been featured in top publications that include Entrepreneur, Forbes and INC, the original landing page didn’t do any justice to his personal brand and couldn’t maximise the sizable amount of traffic he was directing from his guest posts and Youtube Channel. 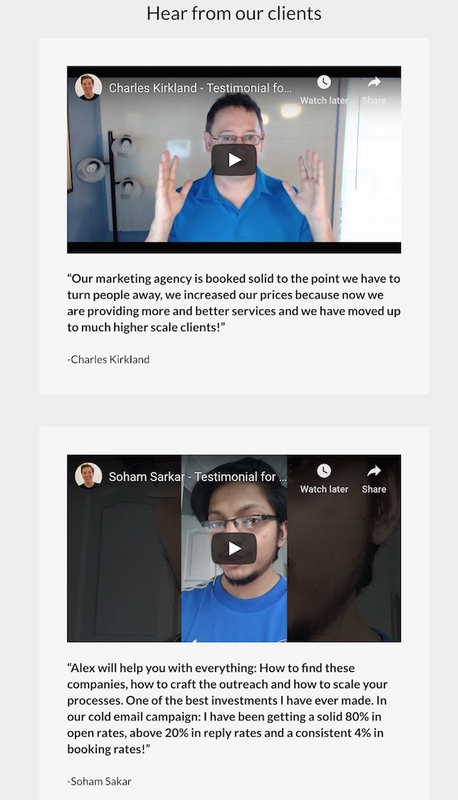 We decided to lengthen the landing page and structure it to follow the 5 copywriting principles to help turn his already warm prospects into willing buyers. It is quite easy to see that the original landing page copy didn’t have a structure, with facts and figures thrown wildly around mixed in with arguments that weren’t compelling. Sure, you might have every customer benefit on hand, filmed multiple testimonial videos and have pictures of you in a suit, but what message are you trying to send? What journey are you trying to take your reader on? 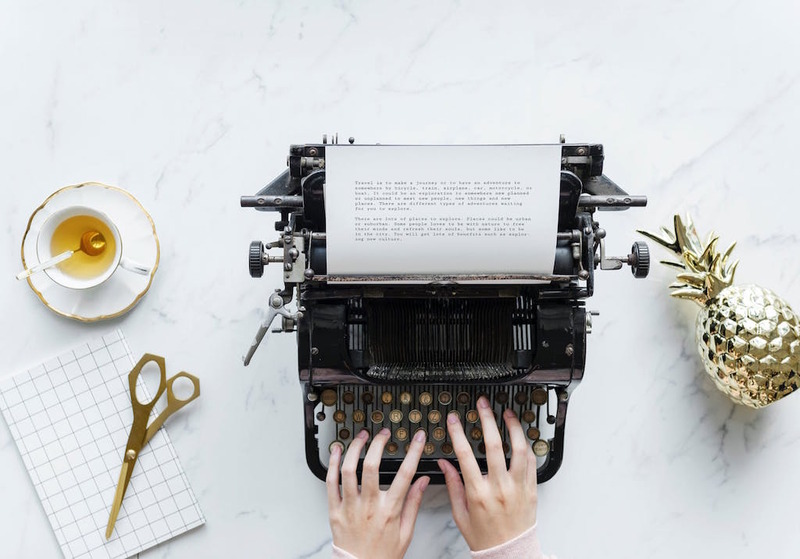 Before even writing a single word, it is essential to take a step back and formulate your messaging hierarchy which is basically the order in which to organize your copy and messages to convince your reader into a sale. The 3 core questions to ask to determine your messaging hierarchy. What does my visitor know about me when he lands on this page? 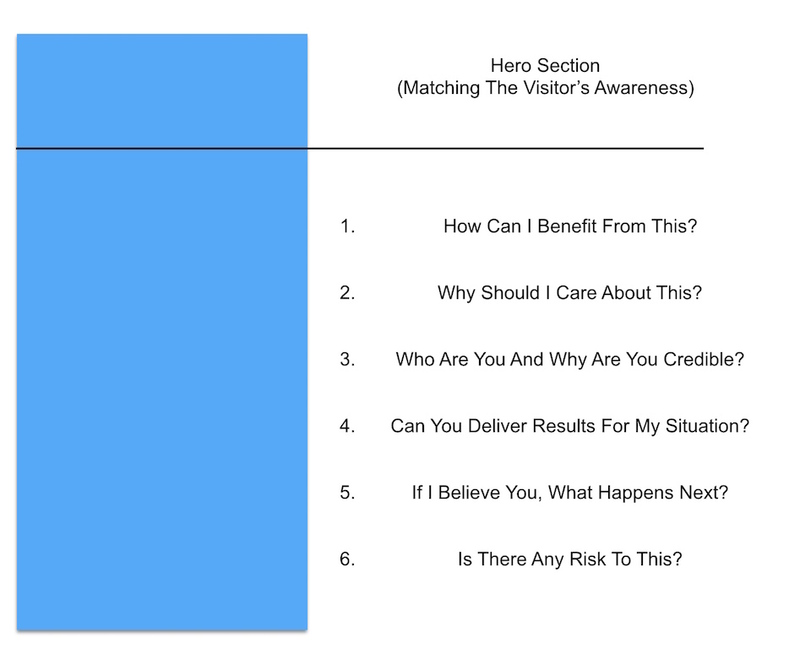 How clear of an objective does my visitor have when it comes to solving his challenge? What do we need to show him from where he was before he came to this page to the point where he becomes a paying customer? The answer to Q1 will frame the amount of external social proof and the length of your personal story to showcase. The answer to Q2 will determine the results and benefits you must absolutely highlight as well as the personas of the testimonials to showcase. The answer to Q3 will determine how long the page will be and the arrangement of the page copy and elements. 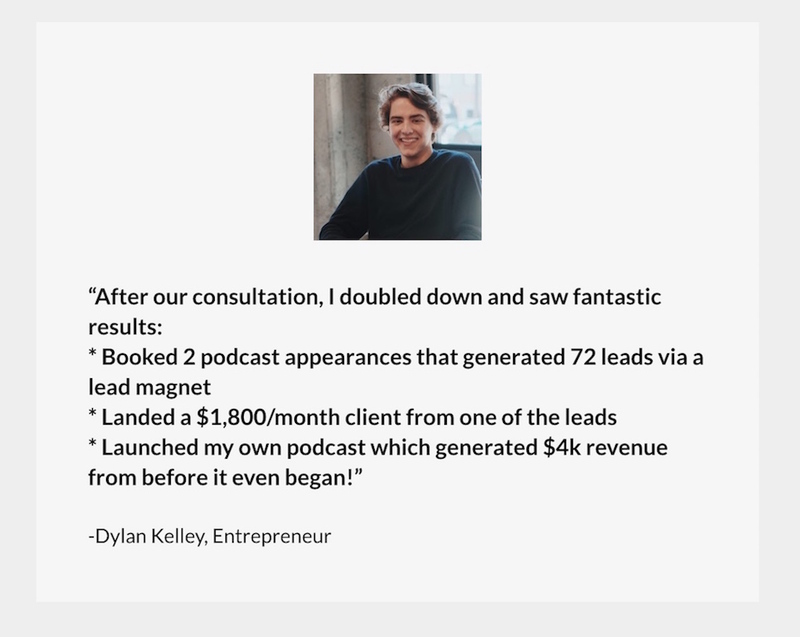 Appeared on major podcasts catering to his target audience: entrepreneurs and agency owners. Marketing wise, he also has in place an email autoresponder marketing campaign that nurtures the leads he gathers from his Youtube Channel and Twitter. That means the traffic that lands on the landing page already knows about his existence and have already established a certain level of credibility of him in their minds. This isn’t a case about buying up paid ads on Google or Facebook and driving fresh unqualified traffic. 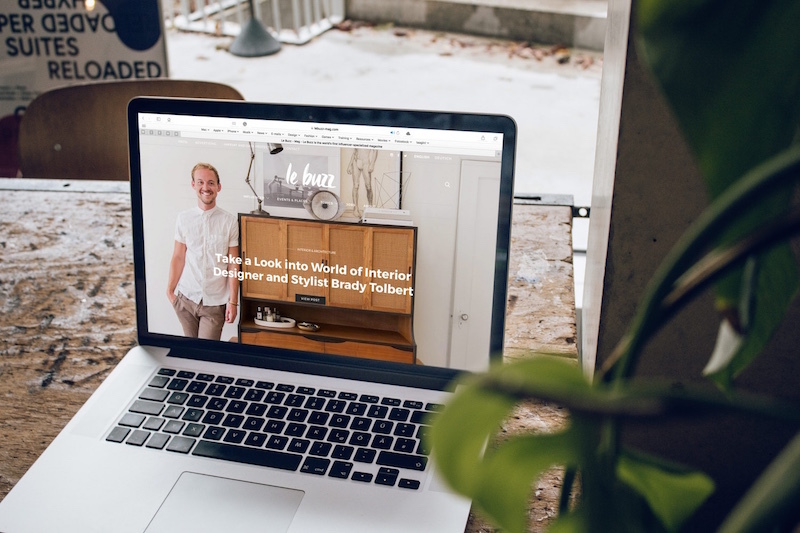 People know him, they have opted into his mailing list, they are warm traffic – but make no mistake, that doesn’t make it any easier to craft the landing page copy, the only thing that changed was the approach that we had to take. 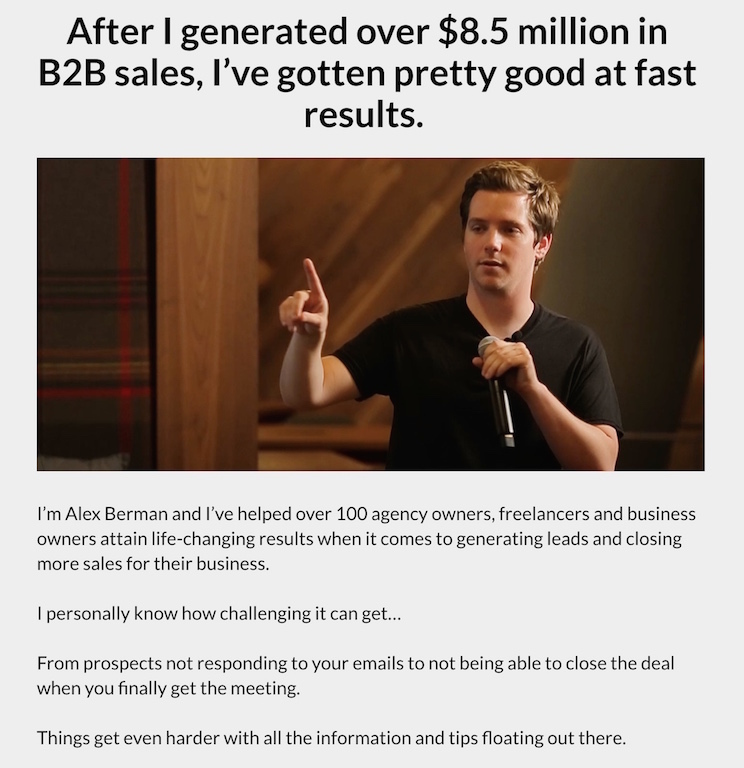 As a B2B consultant, Alex’s expertise lies in helping entrepreneurs and specifically digital agencies grow their businesses by focusing on bringing in leads and sales (arguably the most important metric in any business). 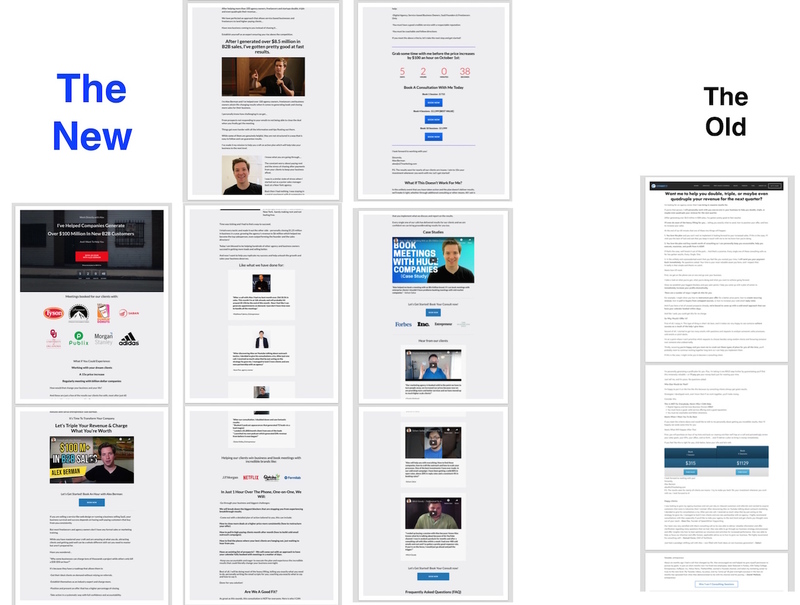 Visitors to this landing page would have arrived from a variety of sources, some would have read his article on the best cold-email practices while other could have arrived from a Youtube video teaching them how to draft a contract. However, the glue that binds all these visitors together is the desire to generate sales for their B2B business, which is what the headline effectively does in a professional & non-salesy manner (we will touch more on this later on how salesly should you get in the copy). Whether you are starting from scratch or looking to improve upon your copy, ensuring that your message flows is key to maximising the impact of every section. We created a landing page that touched on the 6 key sections that the reader needs to journey through. Written from the perspective of the reader, each section addresses a question they are asking themselves. 1. How Can I Benefit From This? 2. Why Should I Care About This? 3. Who Are You And Why Are You Credible? 4. Can You Deliver Results For My Situation? 5. If I Believe You, What Happens Next? 6. Is There Any Risk To This? Now just because someone knows you from social media or a publication doesn’t automatically mean they will become a paying customer. Understanding this messaging flow will allow you to address all of their main concerns without any unnecessary repetitions and or need to lengthen the copy. Our copy laid down an argument that is not only rational, but it also follows the smooth flow of a conversation – naturally anticipating their doubts and objections while showcasing value progressively to build desire as they read on. Unlike a physical product or a service that is immediately tangible, it is vital to establish value on the time your customers are booking. The challenge with most consultation pages is the inability to justify their price point through the proper reframing of value. For Alex’s landing page, we used the power of specificity and anchored down the value of his consultation time in 3 main areas of the copy. When anyone spends hundreds of dollars an hour, they expect to see tangible results and a return on their investment. 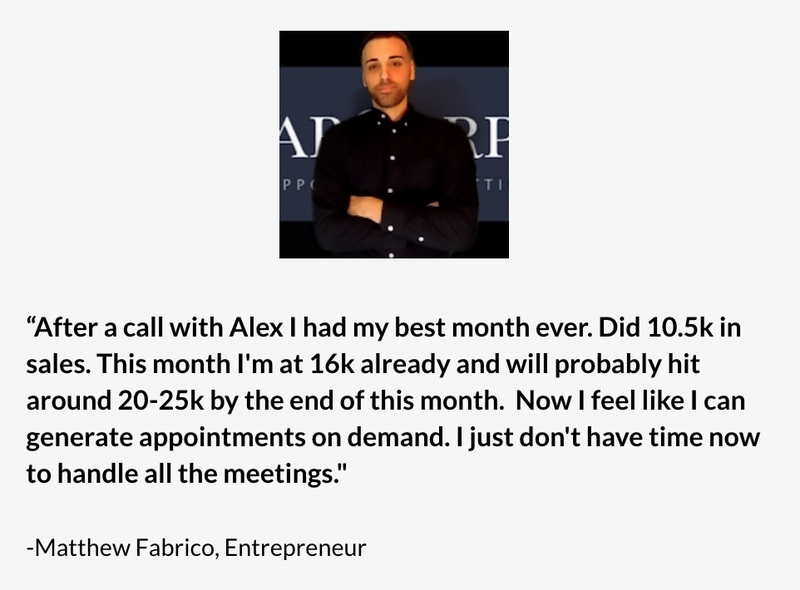 We sat down with Alex to extract out the results each of his clients and arranged it strategically in testimonial form to showcase what truly matters – increased sales and revenue. 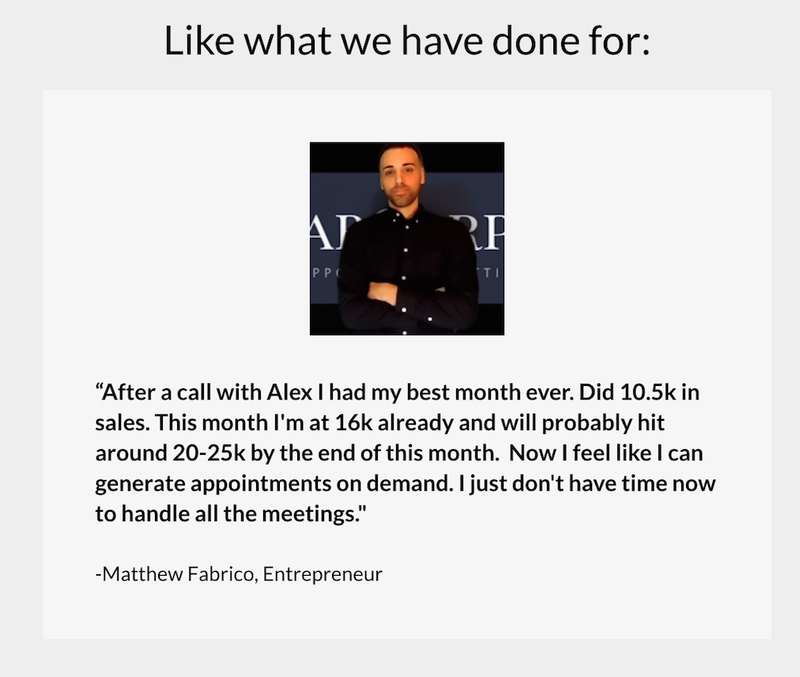 With just a single call, Matthew experienced a record month after month that could see him enjoying multiples of his initial investment. Trust and believe when a prospect reads this, they are picturing themselves enjoying the same benefits. Knowing the majority of the target customer’s current business situation (small agencies and B2B businesses looking to clinch name brands), we tapped into their desire for an eventual business transformation – through showcasing the projects of iconic brands that businesses have won as a result of the consultations. At the core of consultations is the consultant himself, it is the person himself that delivers the experience and where the value and knowledge resides. To frame Alex as an effective consultant (and not just an expert – there is a difference), we honed into a tangible achievement he attained while also highlighting his effectiveness as a consultant to deliver results fast. After all, if he did it for himself, chances are we can deliver the same to his clients. Notice that throughout these 3 value reframes and showcases, we went into the details – from the amount of revenue earned to the exact brands clinched. Specificity is key to building trust, prospects today are getting increasingly skeptical (and they should be, it is easy to just label yourself as a consultant and throw up a landing page), they want to know the specifics of how you can get them from point A to point B. Establishes your value and credibility as a consultant or coach. Allows them to identify with your beginnings and your struggle to the top (which they are currently fighting through right now). Gives them confidence that you can guide them through specific pain points in their unique struggle. Now each of these 3 points will have to be addressed to maximise the effectiveness of your personal journey/story to success. 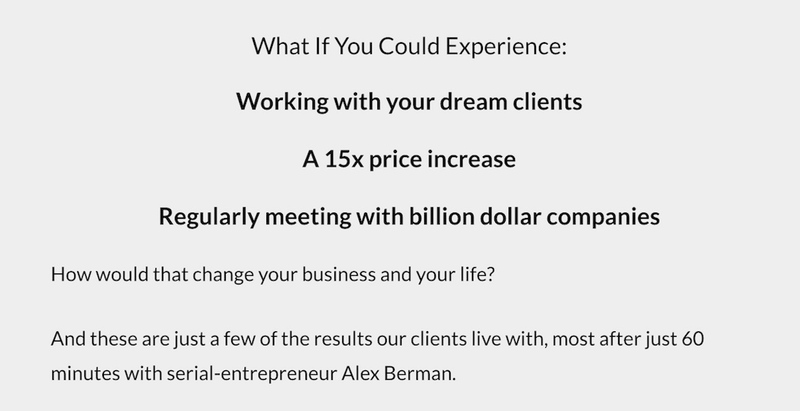 To showcase Alex’s value and credibility, we focused on framing him as a coach who has delivered tangible results – growing his first agency’s revenue to $6 million and personally closing $1.25 million in a year. This is the part that most consulting pages slip up (that is if they even have a narrative at all!). Knowing your customer persona is so essential to distill the right narrative of your beginnings and struggle. 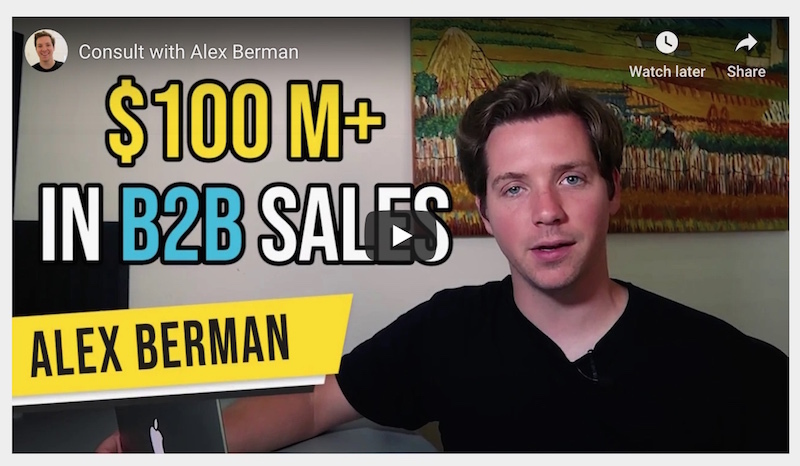 While Alex currently runs a Youtube channel, a marketing agency and a film production company, we knew the majority of his viewers and his target audience as fresh B2B business owners and new agency owners looking for just 2 things: leads & sales. 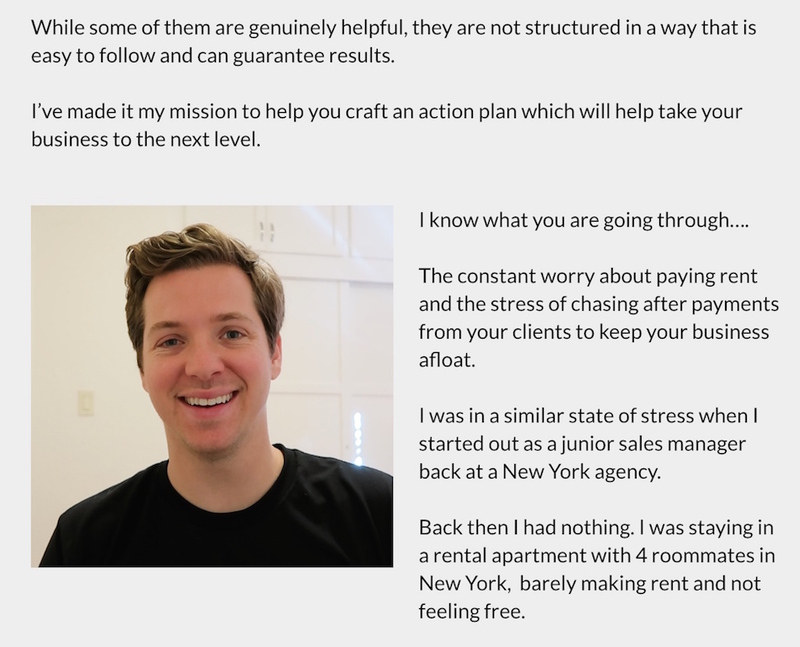 To let them identify with his beginnings and the struggle, we showcased the story of his climb up the agency ranks from ground zero and the constant stress and financial worry faced while still having to bring in leads and close sales – the exact situation most new entrepreneurs are facing. To instill trust in prospects that Alex could solve their unique situation, we highlighted the number of agency owners, freelancers and business owners he has helped, over 100. That tells readers that he has probably faced hundreds of various situations, allowing him to notice patterns and similar predicaments most entrepreneurs face, equipping him with the knowledge to quickly get to the root of the problem and solving it. If you are smart, you will be taking up-front payments before confirming a consultation – but that brings up additional doubts your prospect will have, doubts you will have to eliminate. Is this a good fit for my situation? 1) What will happen during the consultation? It is common sense for your reader to wonder exactly how the consultation will help them reach their goals and you will have to provide a framework of how you will discover and solve their biggest problems. 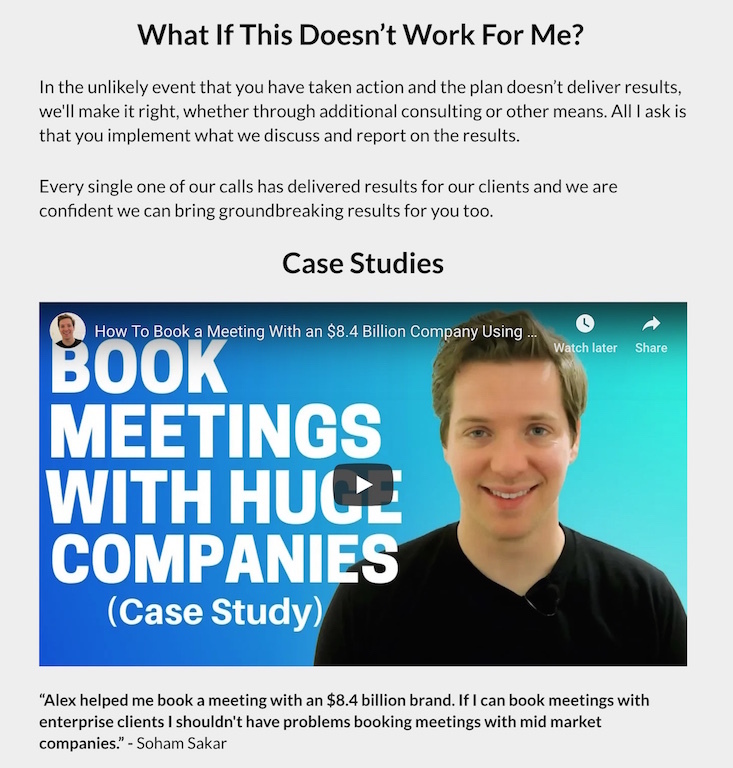 A great way to achieve this is to segregate the main events of the consultation call and flesh it out with the greatest tangible benefits that will speak to the majority of your prospects, just like how we did it for Alex’s landing page. 2) Is this a good fit for my situation? No consultant in the world will match everyone out there, some won’t be suitable and its natural for your reader to wonder if your approach will suit them. This is where the power of disqualification really shines. 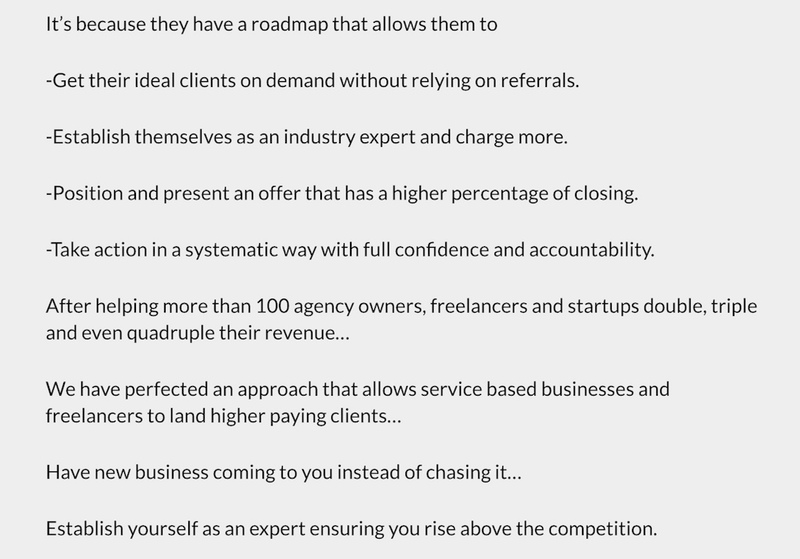 You might be wondering ‘Won’t listing my criteria of an ideal client push some customers away?’. Yes it will! 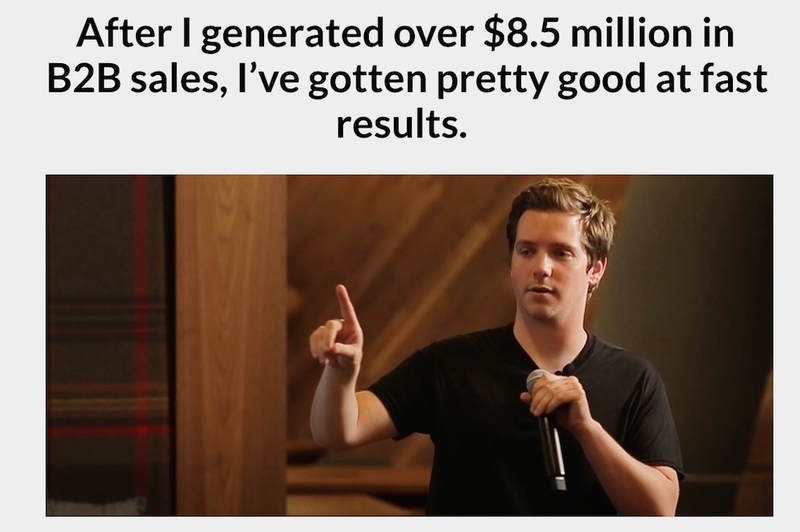 But in the long run, it will bring you more conversions and less buyer’s remorse. By confidently highlighting the type of customers you work best with, you will close the ones on the fence that fit your criteria and once they are on-board, they will be more invested in the process and take action. 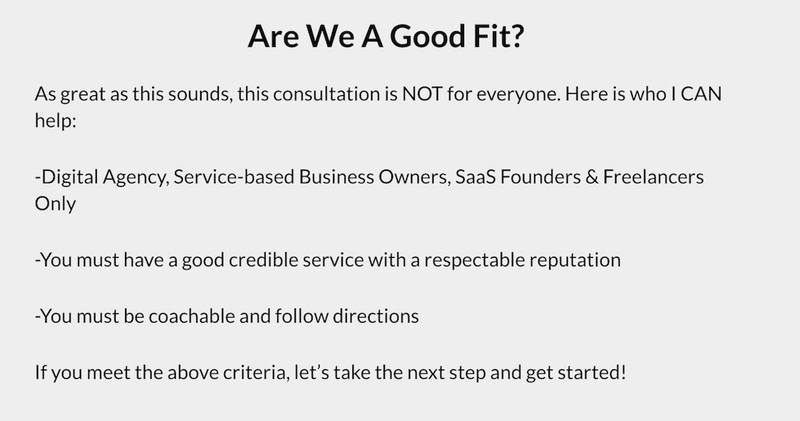 By clearly laying out three simple criteria, we have eliminated product businesses, shady businesses and B2C businesses while making a stronger case for those that fit the criteria, like digital agencies, for example, to sign up. People need an inordinate amount of social proof, dripped throughout the landing page to build their trust in you as a consultant and the results you can deliver. 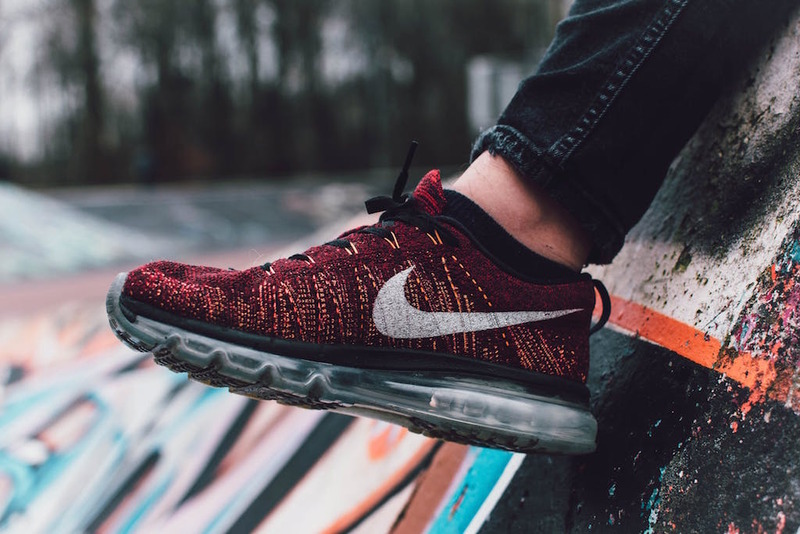 When it comes to the hierarchy of social proof, brand logos are great, media features are also cool, but customer testimonials are king. People will only identify with other people that have been in similar situations as themselves, as such, they will project any benefits and successes back unto themselves. 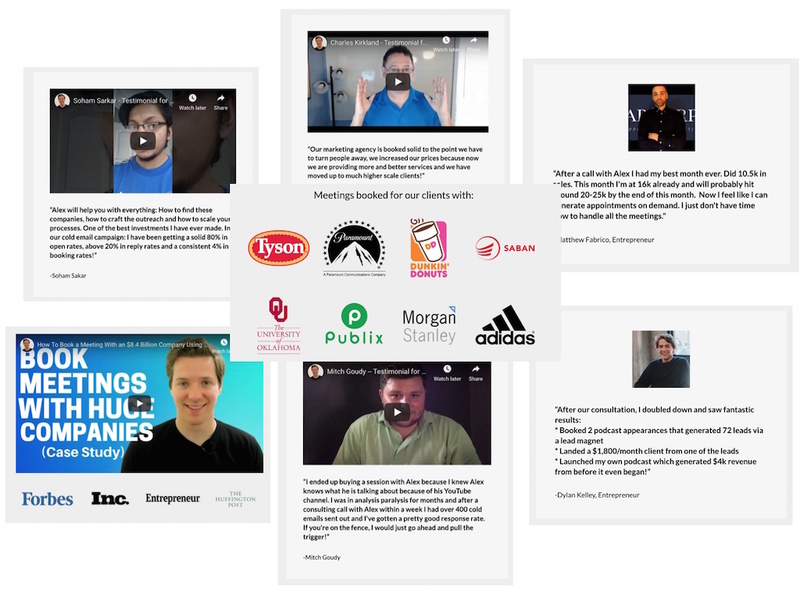 Below are just some of the social proof we included in the landing page, a majority of which are customer testimonials – just remember to showcase the relevant testimonials to the kind of customer personas you are trying to close. You Need An Inordinate Amount Of Social Proof. Trust Me! 1. Establishing a clear messaging hierarchy to control and guide your reader down a persuasive journey to the sale. 2. Reframe value and be specific to establish a believable and desirable trade-off: their initial cash investment for a return multiple times over. 3. Weave in a powerful story narrative, allowing your reader to identify with it while establishing your value and expertise. 4. Reverse risk & eliminate doubt to clinch the sale and reduce any buyer’s remorse. But before we call it a day, we need to address two big elephants in the room. Using the tactic of urgency to close more deals and do ‘salesy’ Call-To-Action buttons work? 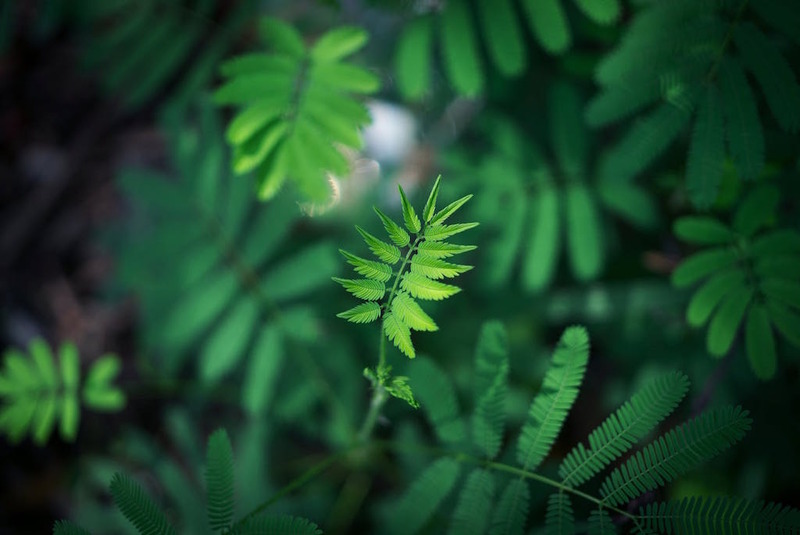 Do Tools Of Urgency Really Work? While primarily reserved for products and services especially in the B2C realm, do tools of urgency such as ‘Limited Slots’ and ‘Time Sensitive Price Increases’ work? Yes….and no. It really depends on your situation. Let us frame it a little bit, it’s effectiveness will depend on your skill level as a consultant and how willing you are to follow through with those claims of ‘urgency’. You can easily see the risk of taking such an approach. What if nearing the end of the week you still have 6 slots still open? Won’t that label your consultation as one of low demand? Now this will work if you are confident enough (with a past record and trends of bookings) that your slots will be filled sooner or later during the week. To accomplish this, you will need to install a dynamic tracker that updates your availability on the landing page everytime someone makes a booking – a big hassle. However, even if it works out, this poses another potential challenge even if it works, what if you have a reader looking to book your time for the next week or next month and seeing you constantly booked out could lead to them clicking away and never to return. Sometimes leaving a little mystery and not disclosing all your cards is the smarter option to take. This is the next common tool of urgency you can employ on your landing page and believe or not, it does work – it increases conversions and closes sales, but only if you hold true to your word. There are many consultants that use this tactic indiscriminately, telling their readers to book now before an impending price increase. A big caveat – unless you are serious about the impending price increase, using this tactic could backfire, all it takes is for a prospect to wait it out till the next week or month, see the same pricing and tell the rest of your community about the sleazy tactic you are using. 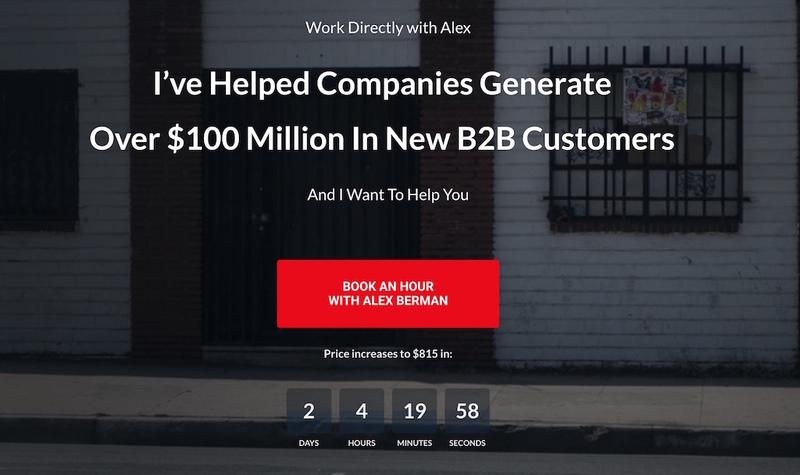 For Alex’s landing page, the price increase tactic is implemented and honored. There is no other way to do it, do this genuinely and the conversions will come. The Case For Direct ‘Non-Salesy’ Call To Action Buttons. While conventional wisdom for call-to-action buttons hover around highlighting a benefit or projecting success to get the reader to take action, when it comes to consultations, it could actually backfire. Once again, unlike selling Saas or a product, you are selling a tailored experience and it is always better to come from the angle as a high-value consultant and being too salesly could potentially frame you as either ‘sleazy’ or too ‘try hard’. It might be a minute detail in the grand scheme of things but it does affect if your reader will click on it and become a paying customer – after all, it is essentially the final point of conversion! 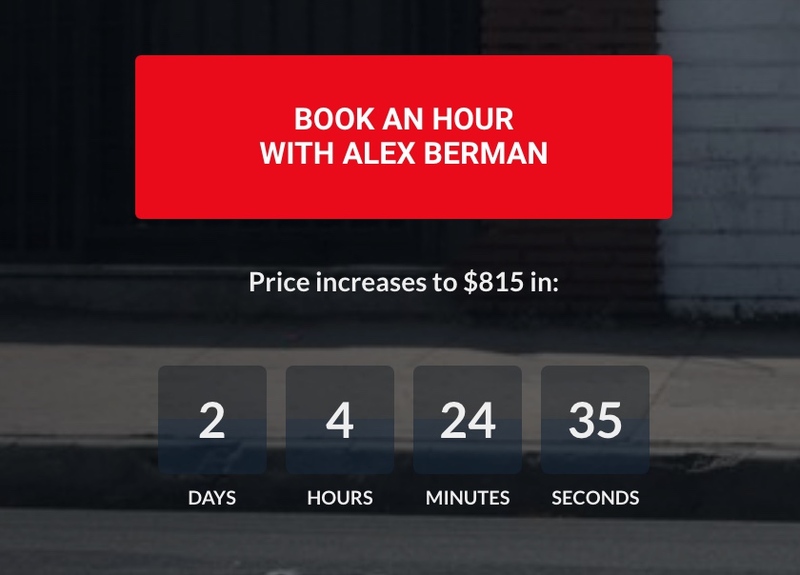 For both buttons we opted for a plain ‘Book Now’ or ‘Book An Hour With Alex Berman’. We could have easily have gone ‘Triple Your Sales & Revenue. Book Today!’ or even ‘Your Business Transformation Begins Today’. Devoid of the context and the rest of the landing page, these ‘compelling copy’ buttons might look better on first sight, but it actually devalues the brand of the consultant and adds much unwanted sleaze into the mix. Be high-value, be classy, you want to be a consultant that last for years, don’t over-hype yourself. 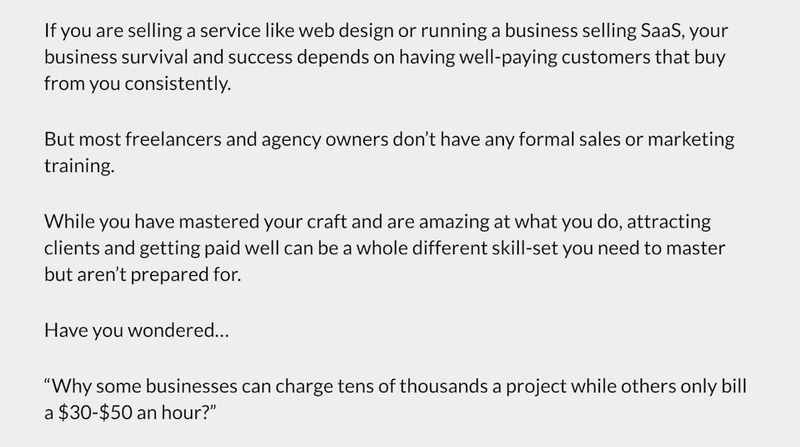 Crafting the copy on your landing page is both and art and a science and the exact sections might differ but we are confident our case study above will help you supercharge those conversions and help you bring in more clients – the type that pays more and books more! 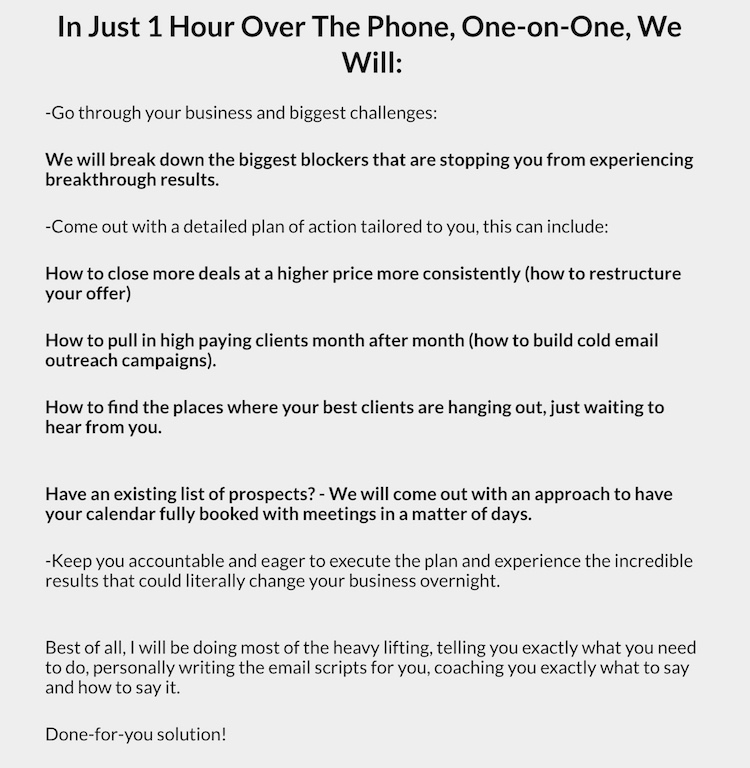 Want us to write the copy for your consultation landing page? Drop us an email at sean@speechsilver.com and we will be in touch. Let’s work some magic together.